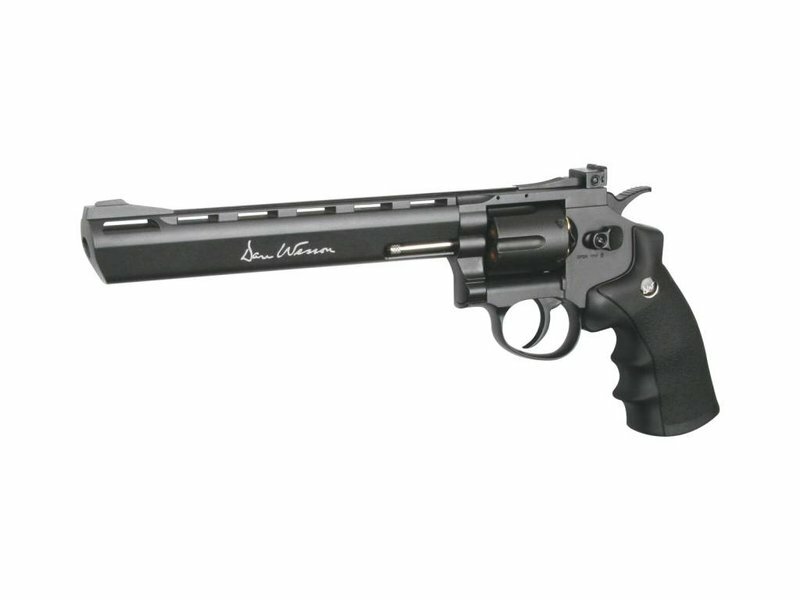 Dan Wesson 8" Revolver (Grey). Superior accuracy and power. 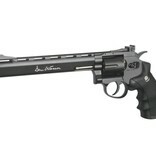 This massive 8” Grey revolver, licensed by Dan Wesson, proves that size does matter. It has authentic markings and a individual serial number stamped into the frame. The revolver features a double action trigger system and adjustable rear sight for extra realism and accuracy. The Dan Wesson revolver is made of metal except for the ergonomic grip constructed in hard ABS plastic. The 12g CO2 cartridge is stored in the grip and is easily accessed by sliding the grip back – easy-load style. Each of the 6 cartridges holds one 4.5mm BB and is placed in the metal cylinder that rotates as each round is fired. 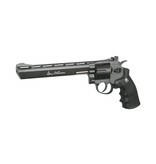 The revolver comes with speed-loader, attachable tactical rail and 6 cartridges. Verkrijgbaar op bestelling, ± 10 dagen.